Running in one of the UTMB races is on many people’s running bucket lists. Completing a race like this is pretty hard, but so is getting an entry! Here’s our handy guide to qualifying to run in a UTMB event. Number 1 isn’t going to be open to many of us but if you’re a man with and ITRA performance index of more than 770, or a woman with more than 670, you could be eligible to qualify automatically. Number 2 is going to be the way to go for most of us. There’s a draw that takes place in early January. However, in order to even go in the draw you will need to gain a certain number of points from other races (see below). The bad news is that the draw is getting more and more oversubscribed each year but the good news is that if you get refused, you then get an enhanced chance the following year, or priority entry after 2 years (assuming you still have the requisite points). A bit like the London Marathon, it is possible to get a kind of charity entry as well. Again, assuming you have the necessary points, you can pay 2000 Euros to support one of the organisations that the UTMB supports. You can donate the money yourself, or you can pay it and then recoup it via donations/sponsorship from friends and family. Lots of races now get you UTMB points so it’s not too hard to locate suitable races to do. The ITRA allocate points to races, depending on the distance, amount of positive elevation and they also look at the approximate time that the race is won in by elites. Points range from a maximum of 6 for a super hilly long race to 1 point for the minimum hilly marathon type of distance. Not all races will have these points so you need to check before you enter. Races in the UK which will get you the maximum 6 points include: the Spine, the Arc of Attrition, South Downs Way 100 and the Cotswold Way. 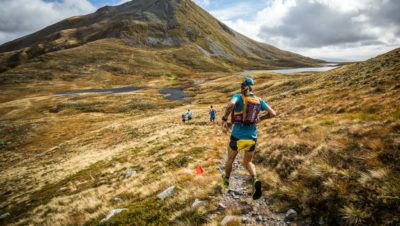 Races like Thames Path 100, the Oner, West Highland Way and Ultimate Trails will get you 5 points, South Downs Way 50, Hoka Highland Fling, Jurassic Quarter 4 points, Thames Trot 3 points etc. You get the idea. There’s a full list here. I’ve got the points – does that mean I can complete UTMB? 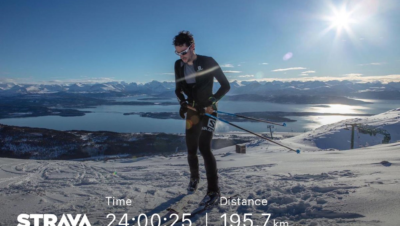 Races like the Spine definitely indicate that you have the sort of ability to tough it out and look after yourself at a race like UTMB but it’s debatable for some of the others. Speaking from personal experience if you can possibly get some of your qualification points from a race with some similarly big ascents and descents (e.g. 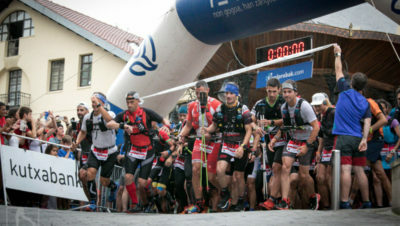 Lavaredo, Transgrancanaria, Transvulcania) then you will be much better prepared to take on UTMB. You just can’t underestimate how much those long ascents and descents take their toll on your legs. So, all you have to do is run some hard races, collect some points and get lucky in the ballot, then the really hard work begins – training for the race! But that’s a whole other article.